The people who make and sell Android phones don’t make it easy to do apples-to-Apples comparisons. Luckily, enough of us have been buying the things to provide some money-saving hindsight. Buying a decent Android phone today isn’t too hard and costs about $200. Buying an Android phone that you’ll still want to own and use on a daily basis in November 2013, knowing you still have six more months before you can trade it in? That’s much harder, and hundreds of dollars more if you give in and upgrade a bad choice early–believe me, I know. It’s much easier with iPhones, because Apple releases just one model every year, and each model looks and works in very familiar ways. The same applies to Windows Phone options. But if you’re keen on Android, though, due to Gmail needs, carrier choice, or just plain appreciation, the field is wide open, and the choices quite intimidating. Here, then, is a practical guide to choosing an Android phone that you won’t be explaining to your friends every time you pull it from your pocket to answer and curse a little. 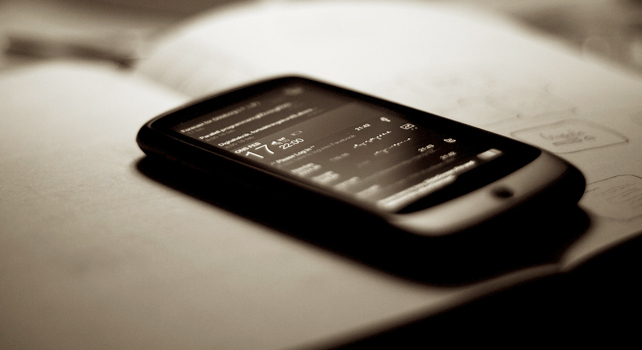 Perhaps the biggest variation among Android phones is the camera. Some are completely worthless, while others arguably approach the quality of the iPhone. Find the best camera you can get on your carrier of choice, because in two years’ time, the one thing you’ll still be doing regularly is shooting pictures. Or think of it in more dramatic, purchase-affirming terms: This is the lens through which you’re documenting your life for 24 months. You’re not looking to buy the phone with the most megapixels in your price range. You’re looking for the best image quality. If you can’t find anyone to vouch for an Android camera, either online or in person, don’t buy the phone it is attached to. Kevin C. Tofel, mobile editor at GigaOM and a longtime writer on all things wireless, sees the Android purchase game as a matter of numbers. Mobile tech moves so fast these days that you’ll never really get a two-year phone, Tofel writes, and carriers provide all their subsidies on phones at purchase time, because over two years, you’ll eventually pay them back through mobile data plans. So you’d do best to think of how to get the most value, and the most resale value, during your up-front negotiation. How do you pick out a top-end model, given the apples-and-oranges-and-pineapples specifications touted all over the web and on boxes? Stick to just a few factors, Tofel suggests. “Look for a phone with at least a dual-core processor, support for either HSPA+ or LTE (networks), and a high-definition display.” But most important is choosing a phone already running Android 4.0, or “Ice Cream Sandwich,” so that you’re not waiting on the carrier to provide the upgrade. I can count on zero hands and zero fingers the number of times an upgrade has arrived as promised on any of the four Android phones I’ve owned. Koushik Dutta, creator of some of the most popular custom firmware and software packages for DIY-minded Android owners, recommends only one Android phone right now: “Galaxy Nexus.” Why? “You know it will get updated.” And it’s true: The Nexus line consists of phones (and, eventually, tablets) that Google pitches to app developers and promises to update for as long as possible. 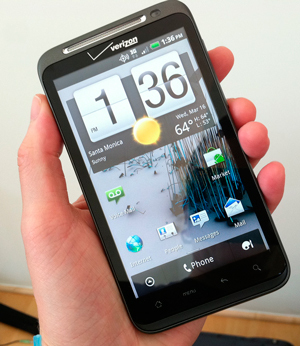 And the Galaxy Nexus has garnered generally positive reviews among experienced reviewers. 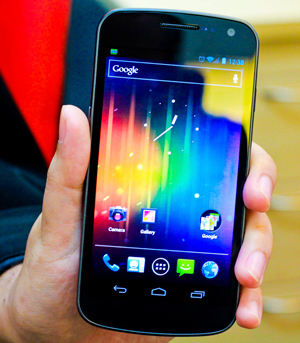 Tofel recommends the Galaxy Nexus as well, but for a different reason: You can buy it direct from Google. You can often find other phones sold without a two-year contract (sometimes listed as “unlocked”) on Amazon, NewEgg, or through other vendors. The Nexus bought straight from Google costs $399, which isn’t cheap, but Tofel uses it with a month-to-month plan from a third-party vendor that provides unlimited voice, messaging, and data for $45 per month. That’s roughly half of the cost on the cheapest carrier he could find. “You’ll pay more up front for this option, but do the math over 24 months,” Tofel writes. “You could end up saving more than $1,000, using what’s considered a flagship Android phone model.” And if you get the upgrade itch before two years is up, the phone isn’t locked to your cellular account, and you’re free to sell it for as much as you can get. 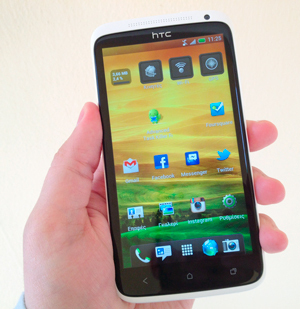 Most Android phones made by HTC (like the HTC Thunderbolt I own) come loaded with HTC Sense, a customized interface, or “skin,” that replaces much of what Google created for Android phones. Some people like Sense, or Motorola’s Motoblur, or Samsung’s TouchWiz, but many, many more find the tweaks and additions goofy. But one of Android’s strongest selling points is customization, and it goes both ways. You can replace Sense and its ilk with a better, faster, smoother “launcher,” as detailed in a previous Work Smart piece on home screens. You can even hide apps that your carrier jammed onto your phone to promote their “content partners,” and you can find replacements for any app that doesn’t cut it: camera, calendar, browser, voicemail, anything. So, again, look beyond the stuff they put on the box and in the ads, and pick the Android phone that will deliver the most longevity for the dollar. Cameras, base hardware, and resale value tend to make for a reasonably happy two-year commitment.